Ever wonder about what to do if you see a dead moose floating in the water in the BWCA? Acoording to the DNR, “Don’t go poking around on it.” It may seem like common sense but that is the advice I heard when I listened to a recent interview on our local radio station WTIP. 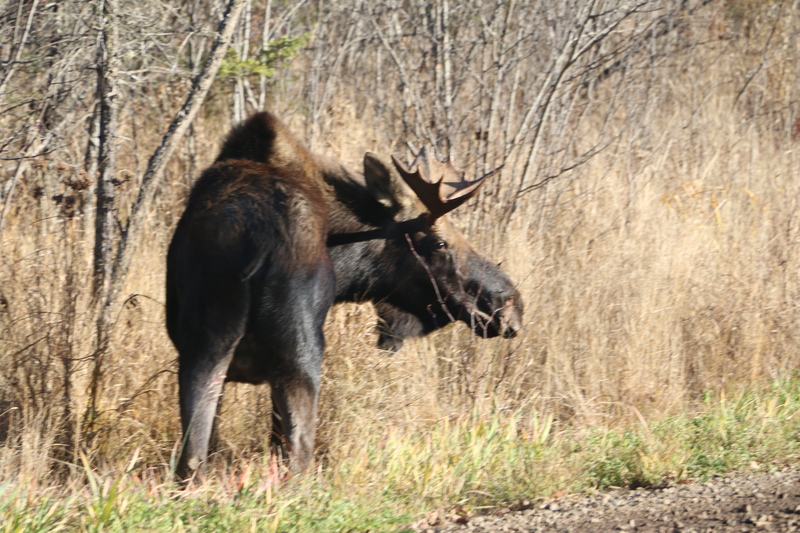 There have been reports of several dead moose floating on lakes in the Boundary Waters this season. There were a couple in lakes near the end of the Gunflint Trail and now there has been a report of a couple in the mid-Trail area. What should you do if you do see a dead moose? The DNR would like it if you would take a picture and report it to the DNR. They can only get data from the moose if it is a fairly recent death but they would like to know about it nonetheless. A photo would help them determine how long it has been dead. Lets hope you see more live moose swimming in the BWCA and fewer dead moose floating.